3Pillars Jessica Hall will present a workshop on using prototyping to increase development time and learning while testing at the Women in Tech Summit. 3Pillar Global will host a conference called Redux Your React!, on reactive technology in Cluj-Napoca, Romania on February 22. 3Pillar is a Bronze Partner of the 2016 MobOS Conference, which is the third edition of the biggest conference on mobile technologies in Transylvania. 3Pillar Global's Sameer Bhide will attend the EDUCAUSE Annual Conference 2015, which is the premiere higher education IT conference, in late October. 3Pillar is sponsoring the 2015 UXDC Conference, which is designed to help user experience & design professionals gain more insight into UX. 3Pillar Global's Dan Greene helps software developers make an informed choice on the next step in their careers at Modev's Code Writer's Workshop. 3Pillar Romania's Sever Banesiu will speak on distributed workflows with Flowy at the EuroPython 2015 Conference on July 20th. 3Pillar was a Silver sponsor for Techsylvania, one of the largest technology events in Romania, and participated in the Techsylvania hackathon. Event post on the Analyzing Big Data with Hadoop Technologies Meetup, which will be held at 3Pillar's Noida, India office on March 20, 2015. 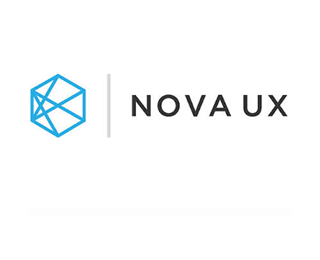 David Rhyne, a Sr. UX Designer at 3Pillar, will be speaking at the NoVAUX Meetup on March 18th on Dieter Rams’ Ten Principles of Good Design. 3Pillar's office in Cluj-Napoca will play host to an event on December 13th centered around software development and web development. 3Pillar's Nate Weisz will present at the Lean Startup Conference in San Francisco, CA on how to get buy-in for user research and experimentation. Event post on the Open Source Meetup to be held in Noida, India on November 14, 2014. Featuring presentations on SocialAuth and AWS.